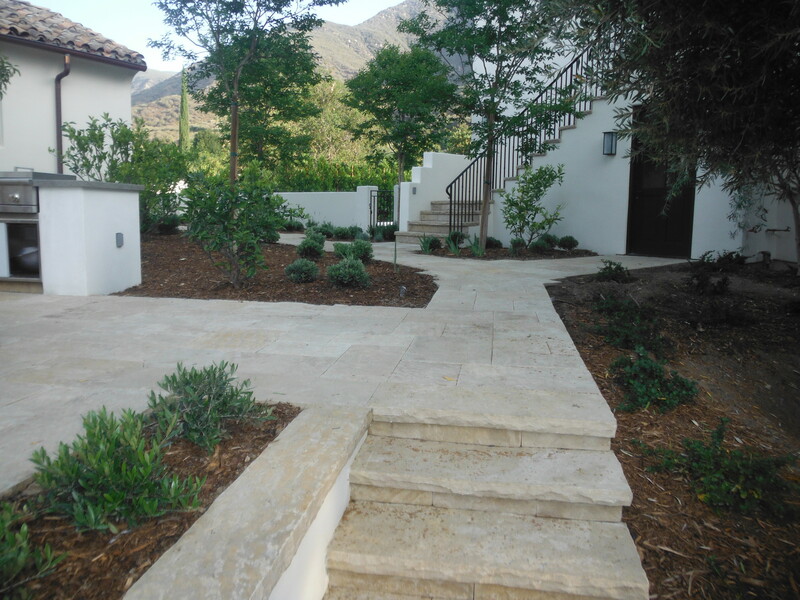 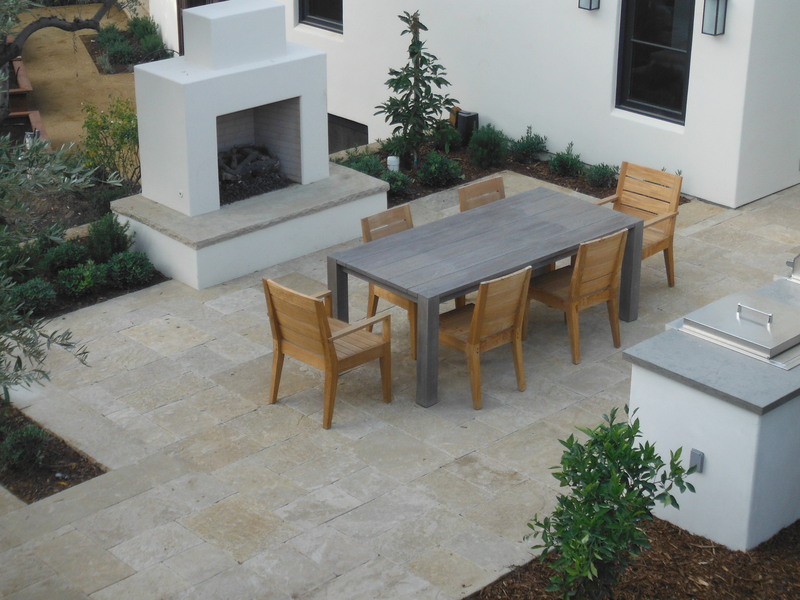 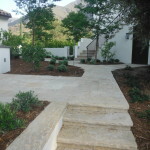 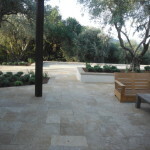 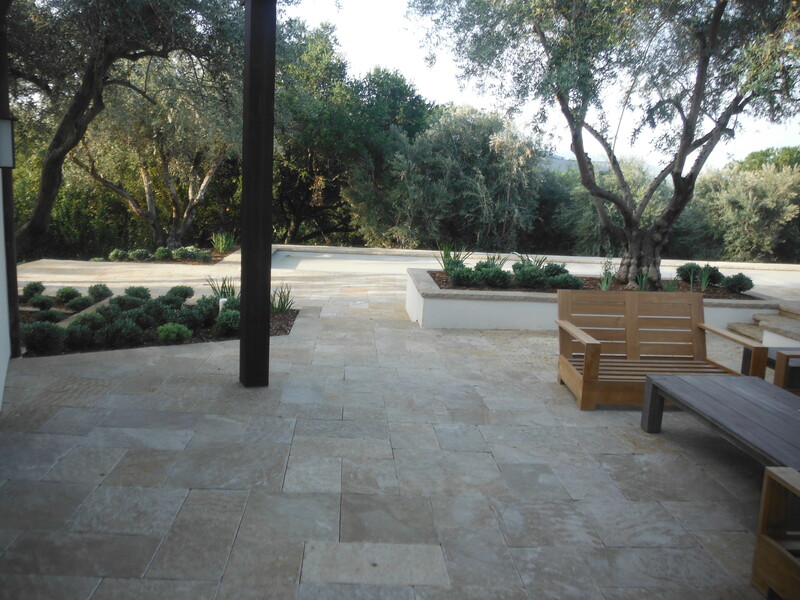 Here’s a recent One projects using our Fossil Creek material, supplied to an estate patio in Ojai. 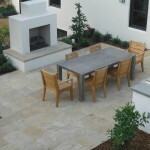 Fossil Creek is a Flagstone company that has found a beautiful blend that has a very European, antique look and feel. 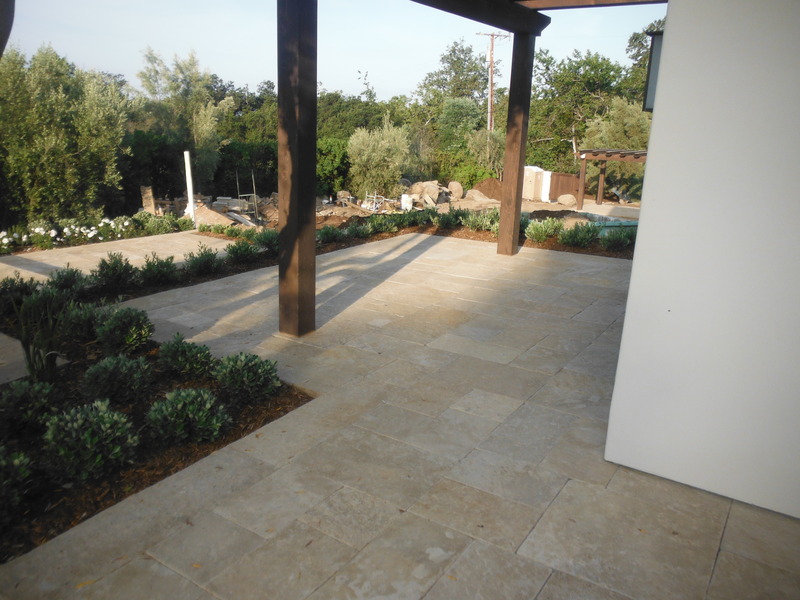 With our state of the art fabrication facility, equipment, and stone masons we can cut to size, and texture the stone to any specification. 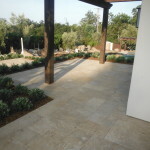 Fossil Creek uses European technology that has been brought to the U.S. Fossil Creek can supply stock material for the following: stand-up flagstone, European cobble, gauged pattern paving, standard pattern, pool coping, step treads, wall caps, garden step stones, and a beautiful versailles (versi) pattern, which what is featured here from the Ojai project.